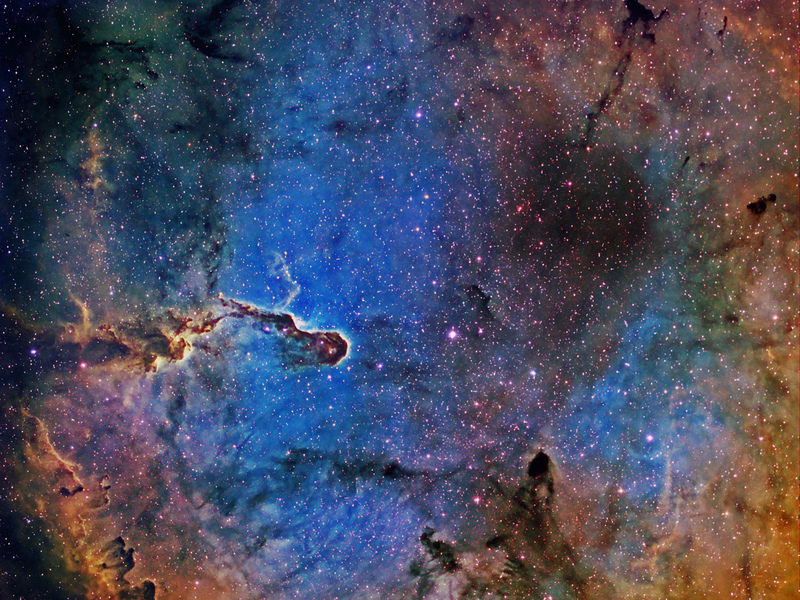 The Elephant’s Trunk Nebula (IC 1396A) is a 20 light-year long, dark globule within the emission nebula IC1396 about 3,000 light years distant in the constellation of Cepheus. The globule is a location of new star formation due to the presence of dense dust and the compression of gas from wind from the massive, hot O-type stars to the right. Many of these young stars and protostars within the globule were detected in infrared images and are not seen at visible wavelengths. These data were taken at home in mag 4.5 skies. The 5.4 mic. pixels in the U8300 resulted in a plate scale of 2.1"/pixel.